Over the next posts I will be featuring 7 amazing holes.8 Amazing Holes! These holes are not only amazing, but some of them are really terrifying! The sheer scale of these holes reminds you of just how tiny you are. before being closed in 1914. 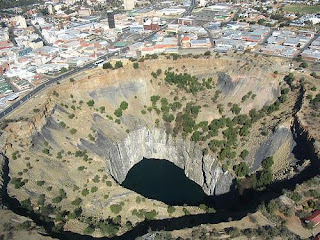 These holes are not only amazing, but some of them are really terrifying! When I saw that picture it made my stomach hurt. That looks scary!